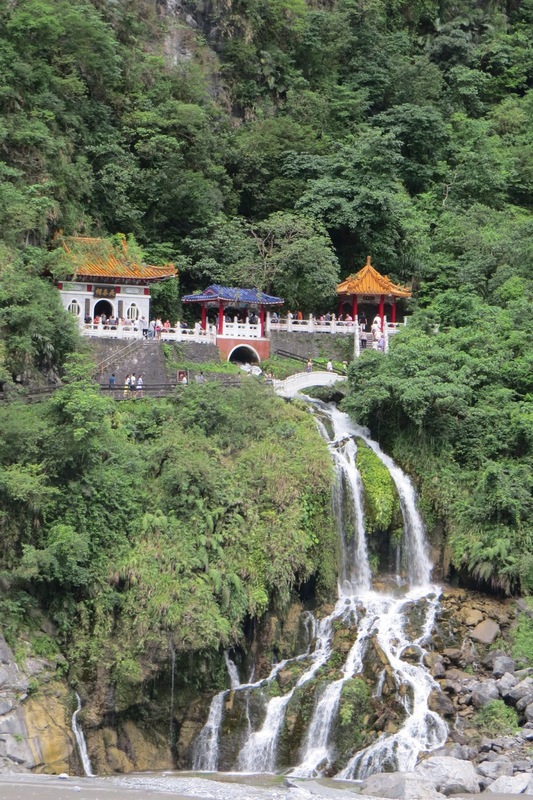 At the end of our recent excursion to Taroko National Park in Eastern Taiwan, we neared the bottom of the gorge and spotted Eternal Spring Shrine, a Buddhist edifice built on the mountain above a waterfall. It was quite a sight. But when we saw the crowds of tourists (mostly from mainland China) we had second thoughts about taking the short hike to view it. 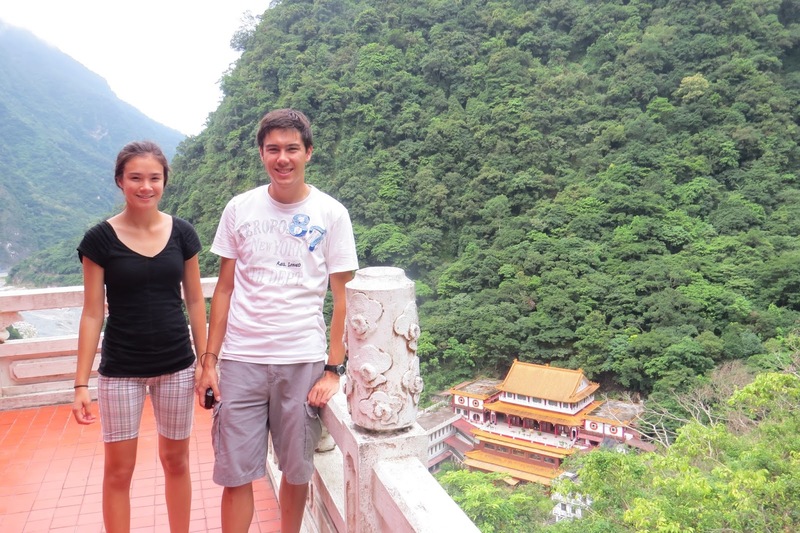 In the end, we chose to take pictures from a distance, then headed back down the mountain. 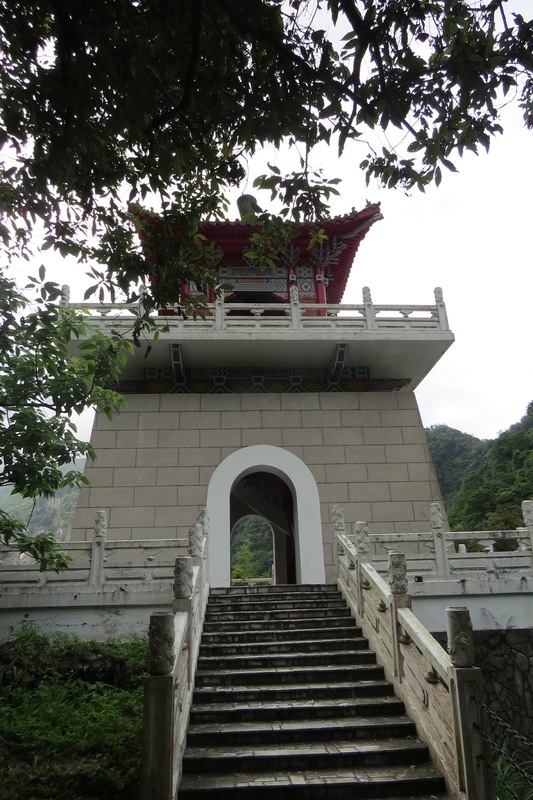 We neared the main road and saw a sign for a different Buddhist monastery, but noticed no vehicles heading up that direction. We figured what the heck, why not check it out? It turned out to be a great choice—it was a highlight of our entire trip to Taiwan. We arrived at the Chan Guang Temple 禪光寺 late in the afternoon, and there was only one other car in the whole parking lot. 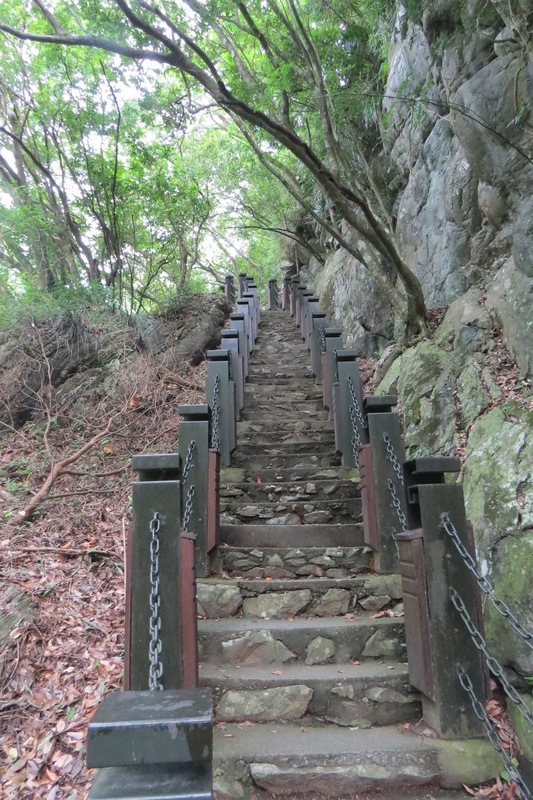 Chan Guang probably has many translations, but I think an apt rendition is The Glory of Meditation. 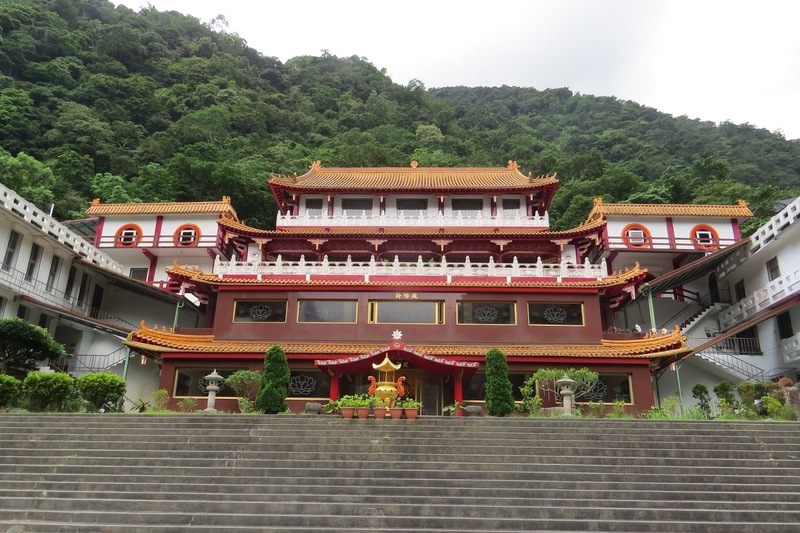 The temple itself sits up on a hill, above a wide staircase and surrounded by the dense subtropical forest common in Taiwan. And of course, the everpresent singing of cicadas. The temple grounds had sparse, but well-groomed bushes, lotus pots, orchids, incense censers, and lamps. We wandered around the empty plaza and took pictures of the beautiful surroundings and of each other. 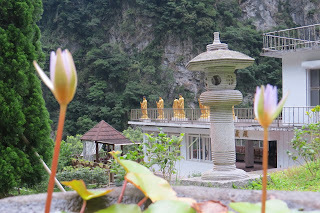 After the crowds of the other tourist spots in Taroko, this was a wonderfully refreshing retreat. Nobody pushed us out of the way. Nobody jumped in front of our camera as we posed. And nobody tried selling us anything. As we relaxed, I kept hearing the sound of Buddhist meditation chants and so decided to investigate. The music got louder as I climbed to the third floor. 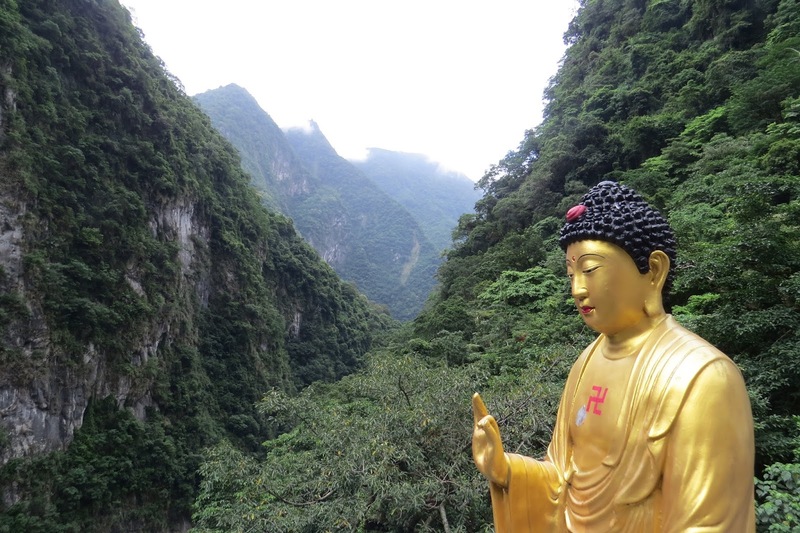 At the top, a large meditation chamber with three giant golden Buddha statues overlooked the whole valley. I’d hoped to see monks chanting, but I guess they’d retired for the day. Instead, they had a recording of the chanting monks. And it wasn’t a cheesy tape player, either. It was a powerful sound system with concert-quality speakers, and the hall had awesome acoustics. It’s hard to understate the beauty and peace one felt while standing in that large hall, listening to the mesmerizing chants, overlooking the steep, green hills as clouds floated past the nearby peaks. I wanted to set up a lawn chair and just camp out forever. 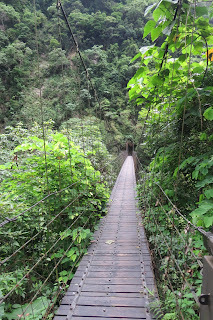 We eventually decided to leave but noticed a long suspension bridge stretched out over the river. And again we thought, what the heck, let’s see where it leads. 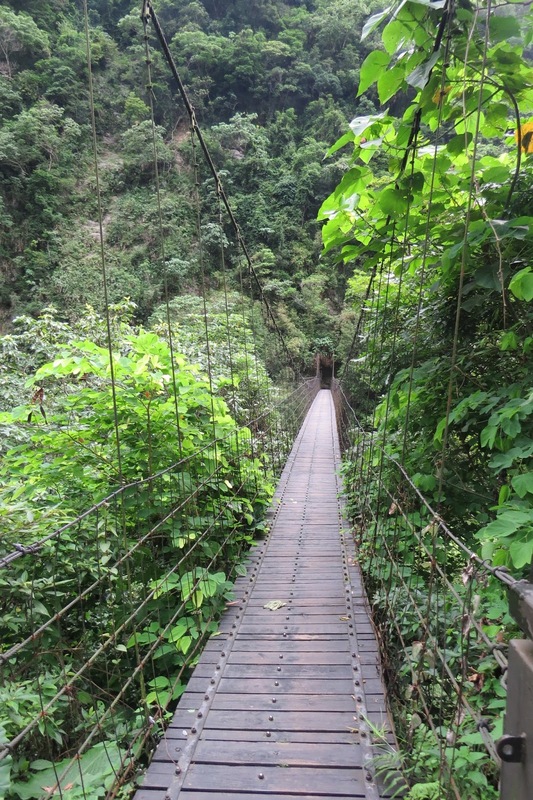 So Aarim and Roro led me across the bridge (“Weight limit, 5 people”) and we discovered a path and stairs leading up the mountain on the opposite side. 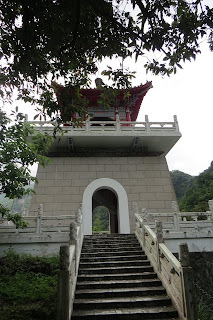 After a short hike, we found ourselves at a bell tower with a commanding view of Chan Guang Temple and the river valley. All I can say about this whole excursion is, Wow! Had we not thought to take a less-used road away from the tour buses, we’d never have had such a memorable experience. That's my wife's home! I've been up that mountain dozens of times. It's so cool!